I read all of your comments, I think. I even answered some. But I have puff-balls for eyes and can’t see past the mucus. I couldn’t make a decision as to which was the best comment because, by the time I’d stopped to blow my nose, wipe my eyes, cough, cough, cough, blow my eyes, wipe my cough, dry my zone, cough some more, I’d forgotten what I’d read. If you are reading this, you are probably a subscriber (thanks for that, by the way; you are keeping me alive in the blogosphere). I don’t know how anyone else is managing to read me – each time I write a new post, the white space on my home page gets bigger. You have to scroll down to the backside of your monitor to read the last visible post, dated 15 December. 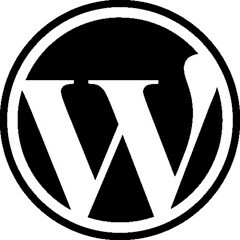 I could suppose that it is a glitch in the WordPress system, but they haven’t responded to my two emails and I do have a history of poking fun at the WordPress prompters…but the prompters are not the techies and the techies have always been quick to respond. Could it be that the prompters have kidnapped the techies to punish the techies for being more popular than the prompters; or is it a fiendish plot to stop the techies from helping their relentless tormentor? Could it really be that I have an ego the size of Mohammed Ali and there is no correlation between my faulty blog and the absence of any help? That they don’t even know I exist and it is all coincidence? It doesn’t help that I have been rendered offblogging for several days. I still have an appetite so I’m not yet a hospital case, but when I’d rather watch a bad movie than sit at the computer, I know I’ve been seriously unwell. However, I’m on the mend now, and intend to hound the techies, bombarding them with polite requests to get a move on, please, if it’s not too much trouble, thank you. I haven’t yet reached the begging stage and I can’t unwrite what I’ve written and wouldn’t anyway because you readers would lynch me (as soon as you found me hiding over in blogspot), but I’m getting there. I blog; therefore I am. I blog not; and a thousand bad movies are lined up to muddle my mind. Not pretty. 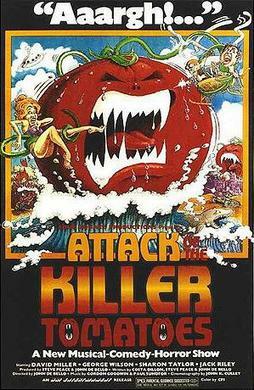 Did you ever see Attack Of The Killer Tomatoes? Not blogging would be like living in that dreadful film for eternity; or until I found a new writing outlet, like anonymous, harassing letters to blogging techies who let me down when I needed them most. I’m rambling; blame the phlegm. And the nogudnik techies out partying when they should be working. I now have to catch up with the many comments that you managed to leave. I appreciate them; I do. Thank you. I like having hundreds of comments to read in Christmas week when I should be baking or shopping or drinking. Think I could manage that last one, actually. But the CoWAbunger announcement will be late because I can’t award it until I read your many, many, many comments. Thank you again. Anyone know where the WordPress techies live? I won’t hurt them, I promise. I’ll put them on my ‘over-seas’ list. Well done again, Pseu! Now stop being so funny and give somebody else a chance, or I’ll have to do away with the award altogether. Or should I make it monthly? Wwwhack! Do you feel that? It is me throwing my shoe at your head. Gobetween is the worthiest winner to date, I’m sure you’ll agree. You’d better, or she’ll hurt you. Well done, Gobetween. I and my sore head salute you. Though Pseu deserves a whole herd of them. It’s not that I don’t give a hoot, it’s just that I can’t be feathered. 20 sleeping cats would keep the engine warm enough to start. Problem: getting 20 cats to move. you mean when they are catatonic? Too many spiders in your house can turn it into a no fly zone. What do you call a group of shipwrecked Richards? Here is your award Pseu; well done! Check out Pseu’s blog if you like close-up photography, poetry and interesting stories about life. Before I award this week’s CoWAbunger, I have to ask you not to inundate me with outraged comments and hate mail. I have gone against the habit of a lifetime and…accepted a compliment. I know, I know! What was I thinking? All of you good, self-restrained commenters who never say anything nice to or about me must be furious. Those of you with less self-restraint who let slip the odd nice remark which I studiously ignore must be seething. I have dreadful hair; not manky like my teeth, but thin and mousey and flyaway. My plaits look like drab friendship bracelets; when my hair is short I look like a boy; when it’s long I have to tie it back because the static electric shocks to the lips really hurt. My family take turns thanking me for the hair in their food, despite tie backs and a head covering when I prepare meals. I have never, ever been complimented on my hair in my entire life. Is it any wonder I caved? Go and visit Cindy at her blog, The Only Cin; especially if you love good food.